Sant Dnyaneshwar rendered the Dnyaneshwari, the original Marathi scripture, at Newase village in Ahmednagar District. Dnyaneshwari is a critical discourse on the Bhagavad Gita by Sant Dnyaneshwar. The great Mahabharata war took place between the Pandavas and their cousins, the Kauravas, some 5,000 years ago at Kurukshetra. Faced with the might of the huge Kaurava army, Arjuna lost his nerve to fight against his own kith and kin. At that moment, Krishna who was the charioteer of Arjuna, exhorted him on the battlefield to perform his duty as a Kshatriya and fight without worrying about the consequences. Krishna’s advice in the Bhagavad Gita is a small chapter in the Mahabharata, comprising 700 shlokas or verses in Sanskrit. Sant Dnyaneshwar realised that the Gita’s teachings could be read and understood only by a small Sanskrit-knowing elite. Dnyaneshwar, under the advice of his guru, Nivrathinath, rendered a Marathi version of the Gita known as Dnyaneshwari. It contains more than 9,000 verses called ovies. So Sant Dnyaneshwar brought the teachings of the Gita within reach of the common man. Dnyaneshwari was composed around the twelfth century, when Dnyaneshwar was only 16 years old. Teen-ager Dnyaneshwar lived and attained samadhi in Alandi at a tender age of twenty-one. and left this mortal world. Dnyaneshwari has since been translated into several Indian languages. Dnyaneshwar presented his work to his guru Nivrathinath and sought his blessings. He did this through a poem of just nine verses called Pasayadan. Pasayadan literally means a request, asking for boons from God. In the Pasayadan, Dnyaneshwar asked nothing for himself but he prayed for the well- being of entire mankind. In the second verse of Pasayadan Dnyaneshwar requests the Lord to grant him a boon which will remove all evils from wicked persons, putting them on a righteous path. The evils in human beings are indulgence, anger, greed, ride; Kama, Krodh , Lobh , Matsar and Ahankar . He prayed that these evils be replaced by kindness, humility, tolerance, forgiveness and devotion and surrender to God. Dnyaneshwar says, let the people of the world be happy and let them do good deeds to make others happy. Dnyaneshwar says that while flowing streams provide water needed for life, the banyan tree provides shade and shelter from the sun’s heat, without any expectations. Being good and doing good to others without evil thoughts or expectations of rewards, is the first step towards spiritual attainment. 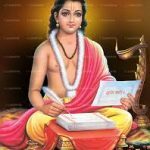 Next, Dnyaneshwar requests God to remove ignorance from our lives and replace it with enlightenment and divine light to achieve our goal, to let everyone adhere to his swadharma or his own sacred duty towards others. If everyone sticks to swadharma there will be no conflict and happiness will prevail. Dnyaneshwar requests God to fulfil the genuine desires and aspirations of all. All pious persons who perform their duty without any expectations or returns, will ultimately desire to become one with the Supreme. 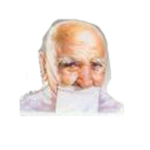 five Perfect Masters of the time.Hazrat Babajan, the aged woman master of Poona, initiated his spiritual awakening in January, 1914,by kissing him on the forehead. Almost immediately he entered into a transcendental state of mind out of touch with normal gross consciousness. He scarcely ate or slept for nine months. Dazed and apparently insane, he made his way during the next year to Shirdi Sai Baba, the chief of the five Perfect Masters, who acknowledged him publically as the Sustainer of the Universe, and sent him to Upasni Maharaj. As soon as that master saw the young man approaching, he picked up a stone and threw it with great force. It struck him on the forehead exactly where the old woman had kissed him. Thus began a painful five-year process of regaining normal consciousness while retaining his divine state. During the 1920’s he gathered and rigorously trained his inner circles of disciples while founding an active spiritual community in Ahmednagar, India, with schools, hospitals and other public service projects. In the middle of the decade he became silent and never again uttered a word. For 44 years he communicated by spelling words on an alphabet board and through hand gestures, including two important books, God Speaks and Discourses. In 1931 he came to the West for the first time, traveling on the same ship that took Mahatma Gandhi to the Round Table Conference in London. During that voyage, he became Gandhi’s spiritual adviser. In England and America he gathered a select group of western disciples, some of whom joined him in India later on. He visited his disciples in the West a half dozen times before the Second World War. During the 1940’s he traveled all over India in his work with the poor, with lepers, with the insane and with masts, a category of mentally disturbed people seldom found in the West whose afflictions come from unwise use of powerful spiritual practices, overwhelming and unbalanced love for God, or enthrallment by a sudden vision of Divinity. He set up temporary mad and mast ashrams in every part of the country where he contacted and served them in his own silent way. He established two places of pilgrimage outside of India during the 1950’s, Meher Spiritual Center, in Myrtle Beach, South Carolina, U.S.A., and Avatar’s Abode, near Brisbane, Australia. He became well known in the West during the 1960’s by opposing the use of LSD and other drugs in the quest for spiritual experiences. In the last years he largely withdrew from public life and intensified his work in seclusion, announcing in the fall of 1968 that his work was completed 100% to his satisfaction. On January 31, 1969, one month before his 76th birthday, he left his body, which now lies in the tomb near Ahmednagar, a place of pilgrimage for those who love him. He said that his tomb, called his samadhi, takes the place of his physical body. For a period of 100 years, entering his samadhi is equal to coming into his physical presence. Land of Ahmednagar is made holy by many saints born on this land. One of them is jain saint Shri Anand Rishiji Maharaj. Postal department has issued a multi-coloured of Rs. 4/- stamp in honour of renowned Acharya Anand Rishiji Maharaj on 9th august 2002. Acharya Anand Rishiji Maharaj was one such soul, whose contributions in the social and educational spheres have been a prolific and significant as his spiritual guidance to his followers. He was born at Shiral Chichondi ,Tal. Pathardi,Ahmednagar (Maharashtra) in August 1900 and received initiation from Ratan Rishiji Maharaj at the age of 13, thereby formally committing himself to a life of spiritual pursuits and service to humanity. He Mastered the Jain Scriptures as well as ancient philosophical texts of Sanskrit language. His teachings were deep rooted in love, non-violence and tolerance. He was proficient in nine languages and wrote extensively in Marathi and Hindi. He had founded numerous educational and religious institutions and also rejuvenated many ailing institutions and founded magazines. He was bestowed with the title of “Acharya” in the year 1965 and left for his heavenly abode in the year 1992. News Courtesy: Mr. Sudhir Jain, The place Anand Dham is developed in his memory. Many social activities are arranged in his memory.